Tonight is the final weigh in for our Fit factor finalists. Trainer David Fairlamb takes us through the final week of the journey. 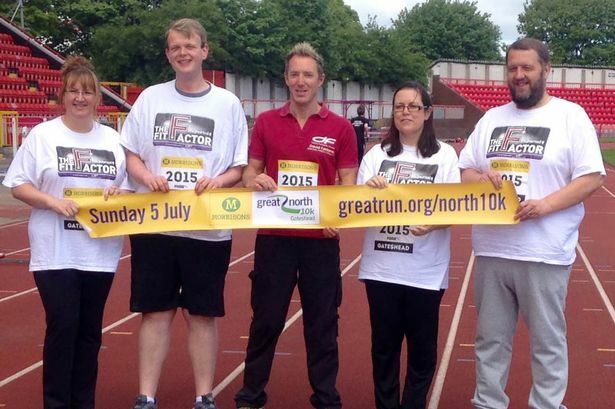 Today we helped launch the Great North 10k which takes place on Sunday 5th, July. It is a hugely popular run which ends on the track at Gateshead International S​​tadium. All 6 finalists are running and have been given VIP tickets by Nova International - a big thank you to them! The end is in sight as there are only four sessions remaining of this years Fit Factor. The six are a mixture of nerves and excitement. They have been living in, what seems like, a bubble for the last 12 weeks and although they are excited about the final they are worried about have they will cope without the structure and intensity of the last few months. Tonight was a general gym session focusing on each individuals strengths and working to their limits. As always the encouragement throughout the group was superb, they are all are genuinely motivated by seeing the others work well. 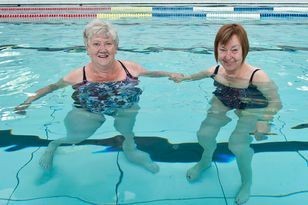 This has made my job so much easier and they have all been a joy to train. 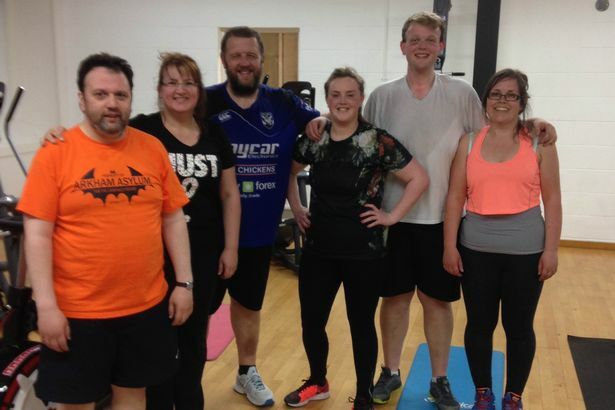 Once every five weeks I run fitness assessments at 7am at the gym and it was great to have Alan and Steph attend and hit some brilliant personal bests, their fitness levels have rocketed and today proved that! 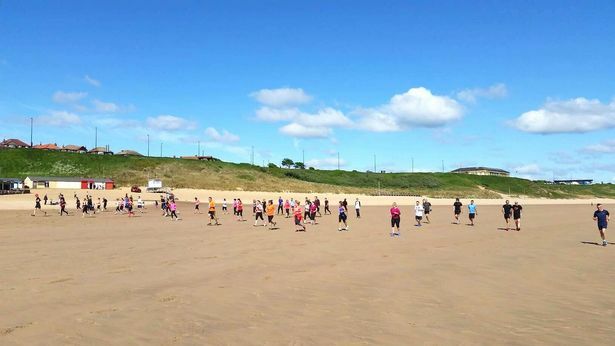 It was the last Beach Bootcamp of the 12 weeks and the six made it a memorable one. They powered through the session with perfect technique and strength to push hard through the full 45 minutes, finishing with full on sprints. What a transformation, 11 weeks ago they struggled through every minute and couldn’t complete half the session. There was a huge turnout at the bootcamp and the six thanked all who had helped and encouraged them every Saturday - I know the amazing atmosphere and enthusiasm from my other clients has really helped the six. Although today was the last gym session they still have one more outside workout remaining. I left the toughest till last, tonight was an awesome session, it was a case of attacking everything i gave them. Short hard quick work on everything led to a buzzing last session and a brilliant way to finish. Their attitude, strength, power, fitness and mental toughness has been totally transformed. They are a literally like new people in looks and self confidence. It was great to watch them complete every section of this very hard workout, recover, then move on and do more. To see how far his six have come in 12 weeks has made me incredibly proud. They have all been so good its made it virtually impossible to choose an overall winner. I started the Fit Factor to show to the North East and indeed the country that you can turn your life round in a matter of weeks and that no one is a lost cause....the six finalists have proved this in the most dramatic way. Be there at the Fit Factor Finale to see the results announced and find out how they have lost such a colossal amount of weight. Only a few tickets remain for the Fit Factor Finale which takes place at Gateshead International Stadium tonight, Thursday 4th June - 6.30pm - 8.30pm. The cost is £10 of which £5 will be donated to the Katie Cutler Foundation. This is your opportunity to see and hear how the finalists have transformed themselves over 12 weeks, as I announce their final weigh in results, before revealing the winner. After a short break I will be giving a nutrition/motivational speech revealing why the Fit Factor has had such dramatic results plus inspire you to, move forward, re focus and tackle your next challenge.